Howdy, everyone! 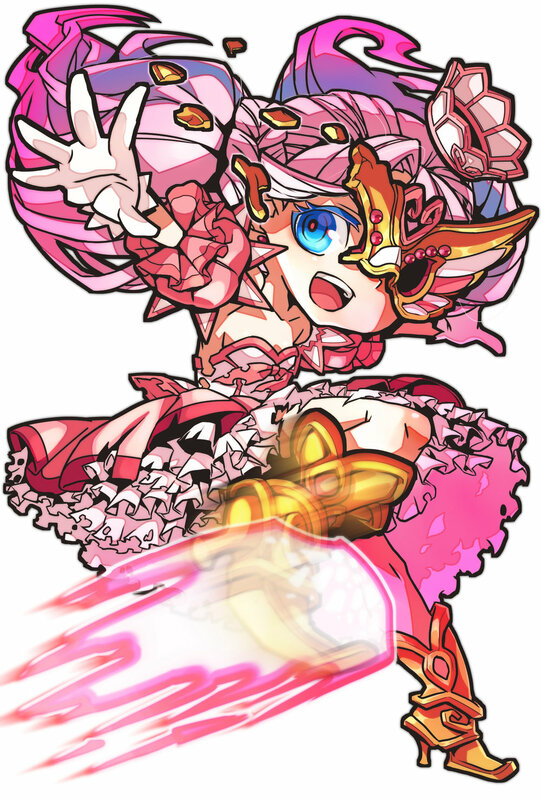 LionWing president Bradly Halestorm here, and today we bring to you a look at one of Sainome Colosseum R's ten playable characters, the Mysterious Masked Fighter/Princess. We'll be taking an in-depth look at the character's lore and gameplay while exploring both her Normal Form and Awakened Form. So without any further ado, let's get to it! 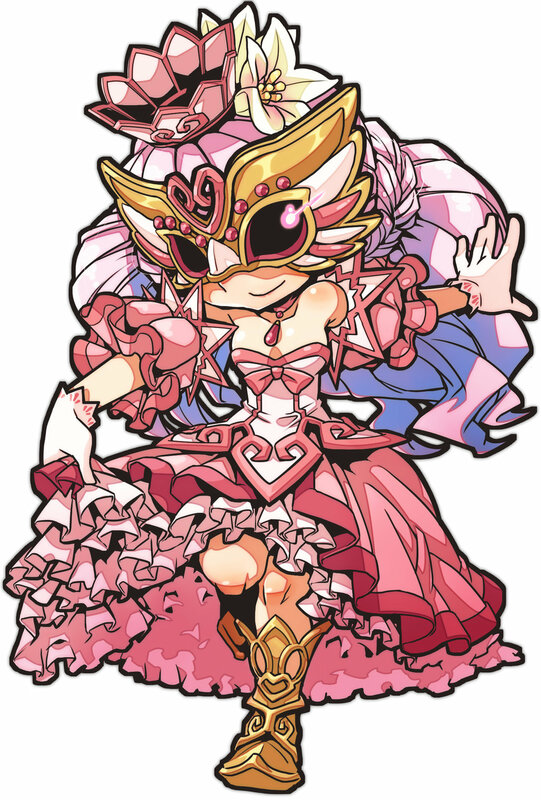 The masked fighter is a fun character as, in the game's universe, no one knows that she is, in fact, the princess discussed in the story premise. It's never made clear in the source text why the princess began roaming the lands, fighting any and everyone she saw fit to in the first place, but there are some popular theories here at the LionWing offices. Did she set out to prove something to herself—perhaps that's she more than just a title and pretty face—or did she set out to get away from the life of royalty that she found stifling, limiting, and, well, just too damn boring for her apparent adrenaline-craving personality. While it's certainly possible that either of those is, in fact, the explanation for the princess's gladiatorial odyssey, most of the team favor a different rationale. And that is, perhaps the princess set out on this journey as a direct response to the rumor that the ultimate prize in Sainome's martial arts tournament will be her hand in marriage. It seems plausible to think that the princess was told or at the very least found out about the plan to be married her off to the tournament's winner, and n an act of defiance, she set off to sharpen her skill through hand-to-hand combat (and maybe even take out her frustrations on the hapless fools who underestimated her fighting prowess due to her size, attire, and even gender). If she did this, it wouldn't be a stretch to assume that her ultimate goal, then, would be to return to her lands and enter the tournament, not as the princess but as the Mysterious Masked Fighter, ready to win the whole thing and declare that no one decides her life for her. Let's discuss the character's playstyle by starting with her Normal Form abilities first. The Mysterious Masked Fighter has two abilities, the first being "Recovery." Recovery states that if a 1 is rolled while attacking, inflict 2 damage upon your opponent. This is a great ability in that it ensures the player hits using it no matter their roll, considering a "1" is normally an automatic miss. It's a straightforward skill that really lends itself well to new players or those who want to win by brute force. The Masked Fighter's second skill is her awakening trigger ability, titled "Mask Break," (editor's note: we went with this as the localized name as an homage to one of our favorite Street Fighter characters, Vega) which says that she awakens upon reaching 3 HP or lower. Like the Pure-Hearted Swordsman, this is an extremely high-threshold awakening. That is to say, players have to take a ton of damage before finally transforming into their second Form. This isn't too much of a problem though, seeing as, while the fighter only has one attacking ability, Recovery is a pretty fool-proof ability. The character's Awakened Form, the Princess, is a bit more nuanced than the Mysterious Masked Fighter. She, too, possesses two abilities. The first, "Fatal Rush," states that before rolling the die during an Attack action, declare values for the star and triangle equipment slots. This doesn't mean much without knowing that the top and bottom equipment slots on the Princess's card are represented by star icons, while the right and left slots are represented by triangles. As mentioned in another post, when one icon is activated, all like-icons activate as well. So, this means that the Princess has the potential to deal damage and/or effects in stereo instead of activating one card at a time like most characters. Her second ability, "Fighting Spirit," states that upon receiving damage that would reduce your HP to 0 or lower, declare two numbers and roll a die. If you guessed the result correctly, revive at 1 HP. This second chance-like skill is great for getting back into the action once you're seemingly KO'd, and can truly be a game-changing ability. As one can likely deduce, the Mysterious Masked Fighter/Princess is a great character for those who are still learning the game. She has built-in fail-safes in both Forms and can do sustained, moderate damage for the duration of the game regardless of which Form she's in. Her biggest downside is, of course, the low HP trigger for her to awaken, which is the only reason why we wouldn't recommend her as a new player's very first character. That said, because she's a straightforward, just-keep-rolling-the-die type of character, she's easily countered by fighters who have damage mitigation or any control or attack/turn manipulation abilities. Also getting her down to 4 or 5 HP before dealing a single fatal blow is the best offense when trying to work around her powerful Awakened Form abilities. By doing this, you outright avoid allowing her to get into her Awakened Form. And that'll wrap up this entry in our Character Spotlight series! Do be sure to check back in the coming weeks for the next mega-sized blog chronicling the lore and gameplay of our next character! As always, if you have any questions or comments for us about the characters as we go along, don't hesitate to hit us up on Twitter, Instagram, Facebook, or in the comments section below.